No Man’s Sky is a very large game. For months now, a dedicated group of players has been working diligently to map an entire sector of space to carve out a home for wayward explorers. 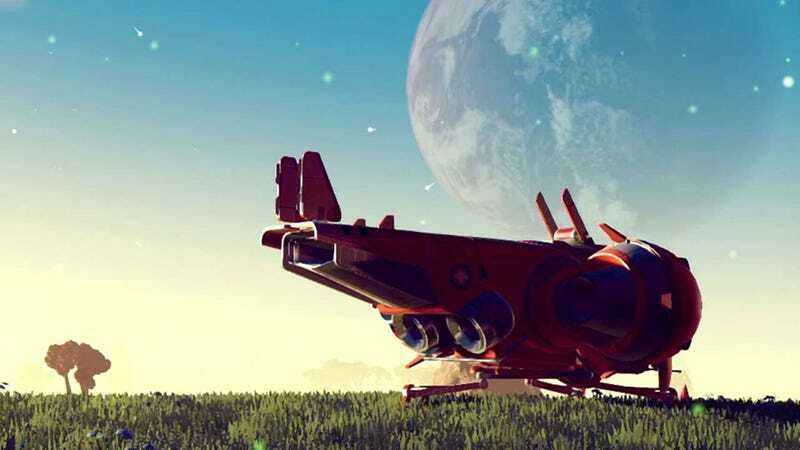 The Galactic Hub Project kicked off earlier this year with dozens of No Man’s Sky players joining together to settle a small region of space to create a staging point for explorers on their way to other planets. It took over two months but they managed to plot an entire section of space. The project was announced last October but really took off once Hello Games tweeted about it twice in January. Members of the project, which now numbers at least 80 players, decided to settle a large area of space in the Euclid Galaxy that included at least two systems. After reaching the area, it was time to catalogue the world around them. The Hub is home to the massive Caesarus, the largest recorded creature in the game. Among some of the major discoveries was a planet with the largest known species in the game and space stations with some of the best exchange rates for goods. Last month, they managed to completely map a region of space called the Rentocniijik Expanse. It contains over 60 systems and nearly 200 planets/moons. It’s an effort that has created detailed maps and a small recruitment campaign with tourism posters. One major tool that helped players connect was a pathfinding application that allows players to drop their current coordinates and find a path to the Hub or other destinations. With the game’s new Pathfinder update adding the ability to share bases between players, there’s even more incentive to head to the Hub and see what’s been built. For players in the Hub, No Man’s Sky is as vibrant and exciting as ever.